The tragic story of the Titanic has touched so many lives and had left such an historical impression, and a lot of it had to do with the 1997 blockbuster film. However, as much as James Cameron had done a good job reenacting every small detail of the original ship and reliving the untold stories of the people on board, sometimes, a picture is worth a thousand words, especially if it’s an authentic one. We all know the end of this tragic story, but not all of us know how it all began, and thankfully we have these amazing pictures to tell the story. With over 10 decks, 882 feet long, and more than 52,000 tons in weight, there is no doubt that the Titanic owns up to its Greek meaning – ‘gigantic’, in more ways than you can imagine. 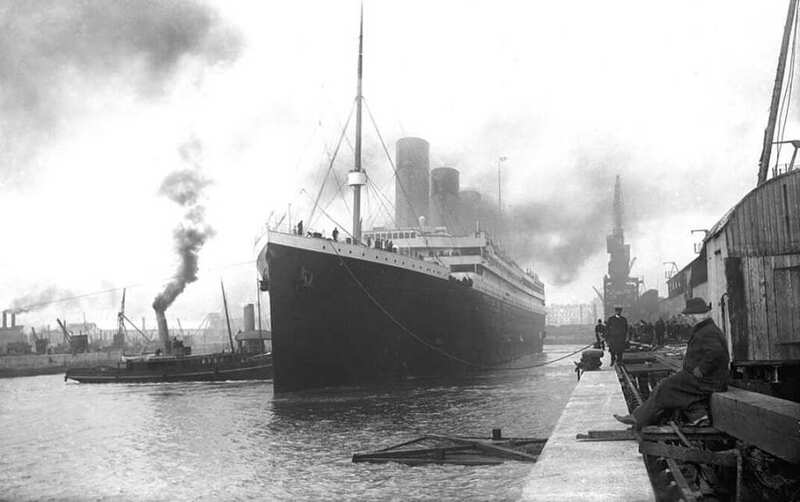 Since it first left Southampton on 10 April 1912, despite the deadly conclusions of the famous and luxurious voyage, the Titanic will always remain one of the most important and significant ships in history. From a distance, this magnificent ship must have seemed like a dream come true for its 2,224 passengers and crew members. From the complicated technology (at the time) to the power through the different facilities, there is no doubt that constructing this ship was not an easy task. 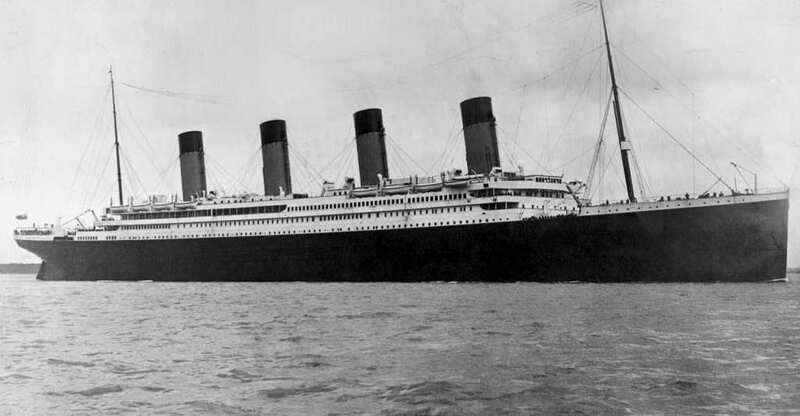 In fact, the Titanic and Olympic, which was the Titanic’s sister ship, were the biggest ships to be created at the time. Hosting some of the world’s elite, it had to be nothing short of luxurious. It could accommodate more than 800 passengers of First Class, and almost 2000 passengers in the other classes. Taking the amount of energy and resources it took to construct this beautiful beast, as well as the thousands of lives that rely on this piece of engineering, you can only imagine the pressure of the people in charge of inspecting the ship to make sure it’s good and ready to go. 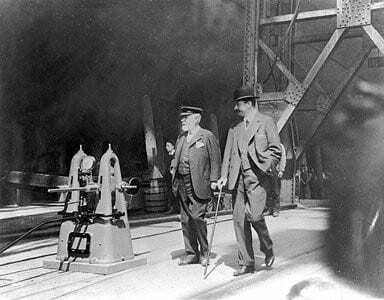 Two men named Bruce Ismay and William Price, were part of the team in charge of inspecting the ship. 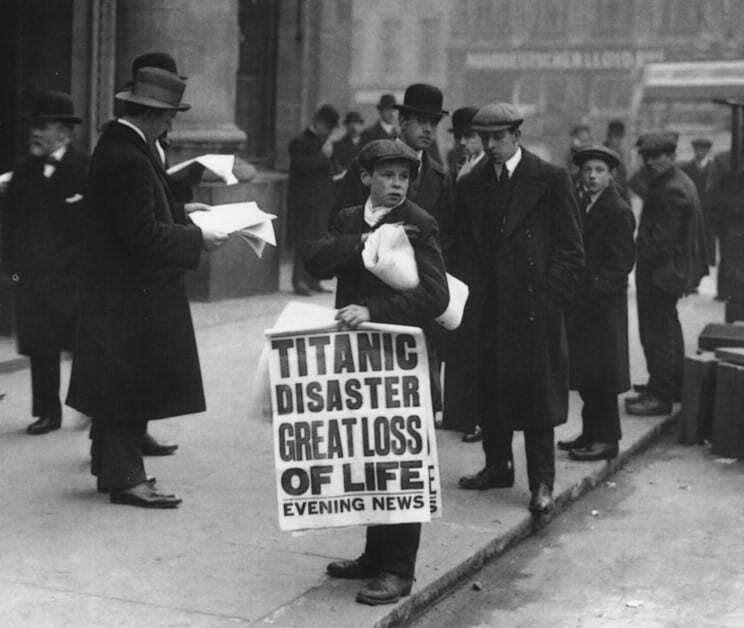 They were subject to harsh criticism after the sinking of the RMS Titanic. If we could actually hear what the passengers waiting to hop on board were saying moments before they went up, we could probably hear a lot of excitement. 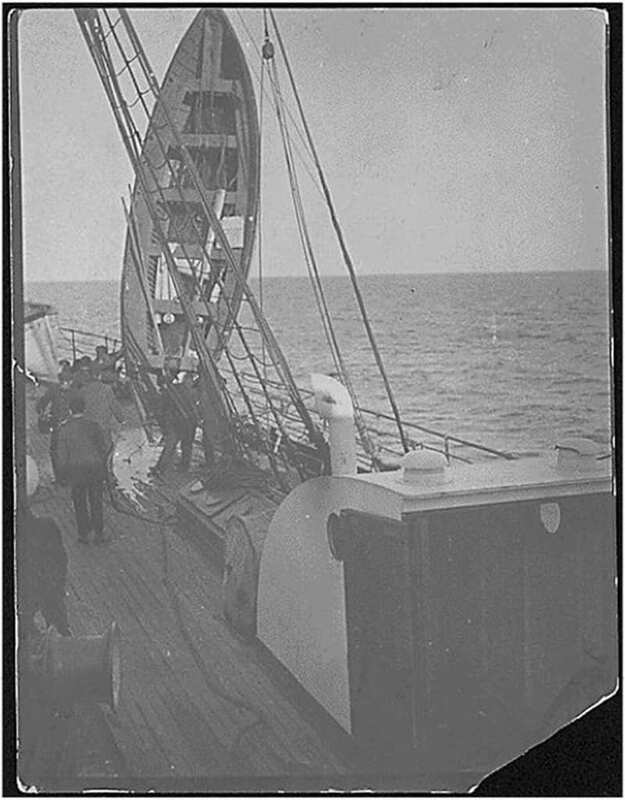 This is a picture of the ship at dock right before launch. Can you imagine the families with children? the loving couple? the group of friends all excited to embark on this journey? Their lives were about to change forever, and they weren’t even aware. 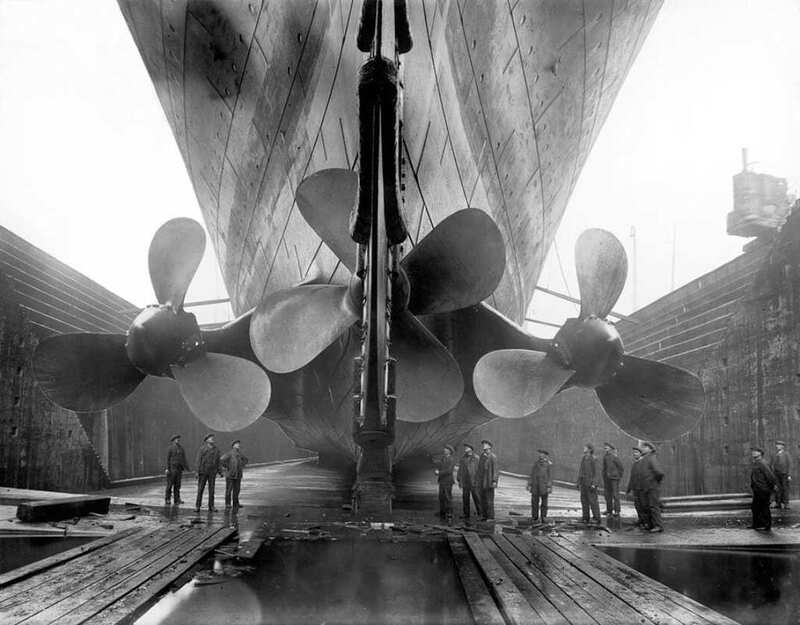 Just by looking at all these men under the propellers, you can really appreciate the size of this magnificent ship. This image was taken close to the time the construction was finished, so by then, all of the different parts were already in place. The boat was 883 feet long to be exact, which, just to get the proportions straight, is taller than a good-sized building. Looking at the crew looking at the propellers appreciating their hard work, is one of the most heart-wrenching pictures out there. The crew of the vessel was composed of 885 members. Most of them were casual employees and not permanent workers who joined the ship a couple of hours before the Titanic sailed off. The recruiting process began just a month earlier. 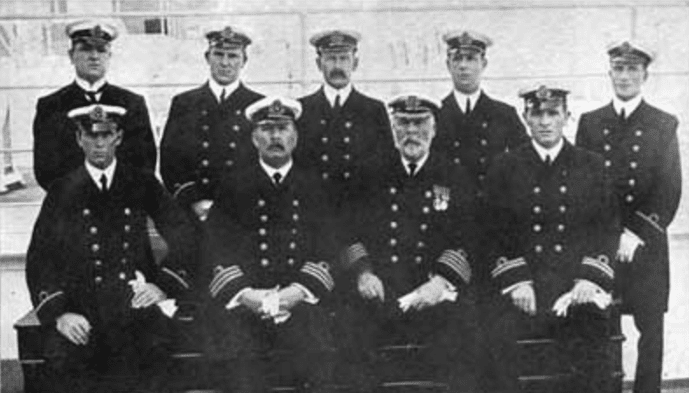 In the picture you can spot Edward John Smith, the captain of the ship. Around him were other crew members who were working as officers of all kinds and as engineers. Captain Edward John Smith was the man in the white beard. For many years it was believed that the April 10, 1912 trip from Southampton to New York City, was supposed to be his last voyage before he would retire. One of the captain’s jobs was to personally greet the upper class passengers upon boarding. 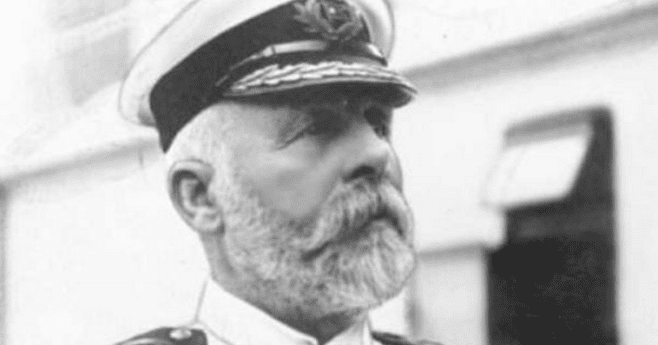 Captain Smith was the commander of the White Star Line and was the person in charge of the line’s flagships. According to historic evidence, Smith had remained heroic until his very last moments. At the time, and even for some people these days, going on a cruise can be an excellent choice for your honeymoon. It’s like the perfect getaway with just you, your spouse and the water. This picture features newlyweds, George A. 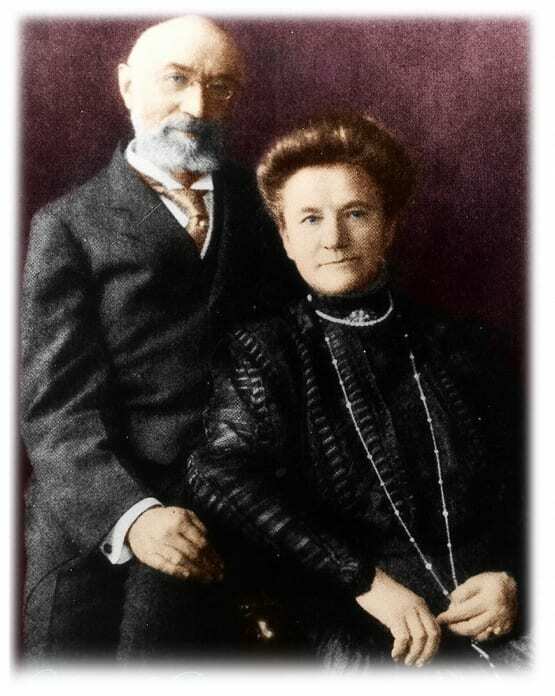 Harder and his wife who had their picture taken by photographer, Bernie Palmer. They were onboard for their honeymoon. The only one who was fortunate enough to survive, is the one facing away from the photographer. Her husband, on the other hand, didn’t survive. This picture gives you a taste of the life that the passengers had on board. 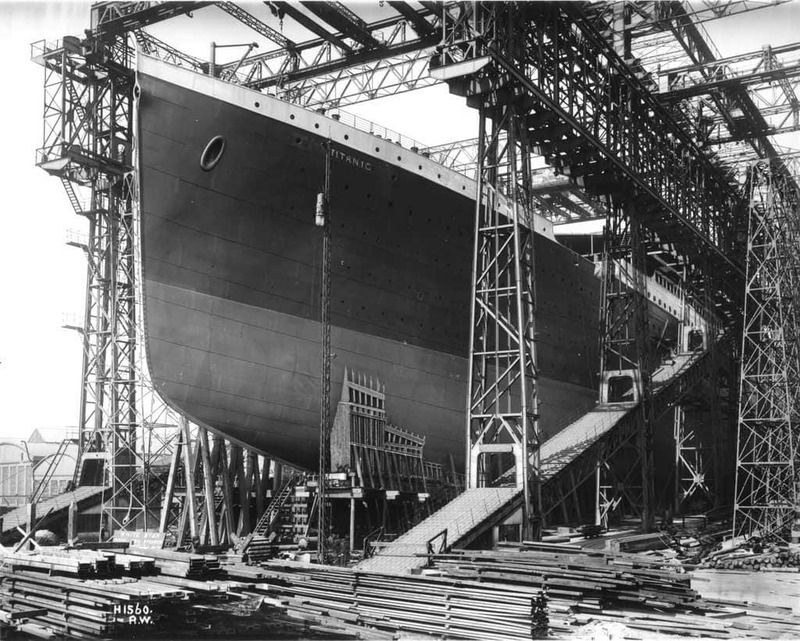 It’a also an opportunity to have a closer look at what the Titanic looked like from the inside. 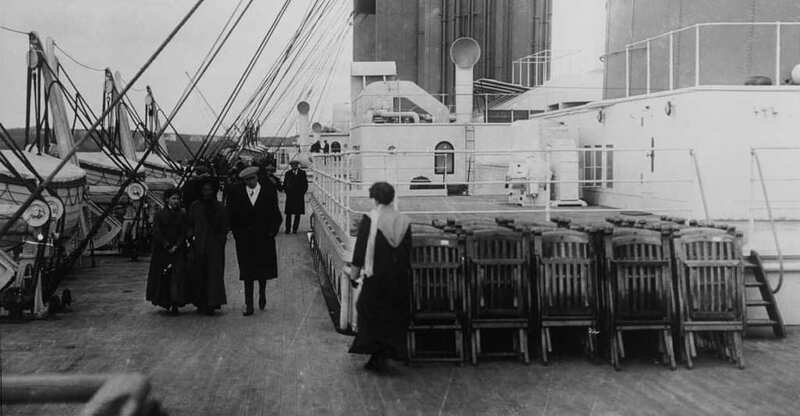 Here you can see random passengers strolling passed the folded chairs on one of the decks of the ship. By the way they are dressed, you can also tell that they must have booked a cabin in the upper class department. We’ve mentioned earlier that everything that was built on the boat had to be top notch and nothing short of amazing in terms of the facilities and the service. Having a gym on board has pretty much become a normal thing to have. 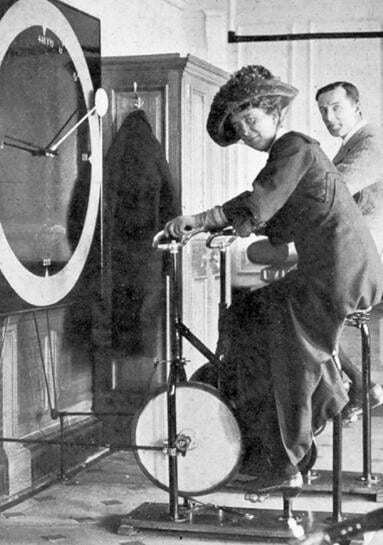 It’s really fascinating to see how back in those days, a gym just another amenity that people used on the ship. Maybe it was in order to stay in shape after all that food they were having on board. As we have come to realize, the Titanic holds so many different pieces and parts that make it the amazing piece of work that it is. One of these pieces is the rudder, which is basically the part that is needed in order to steer the ship when it moves through water or air. 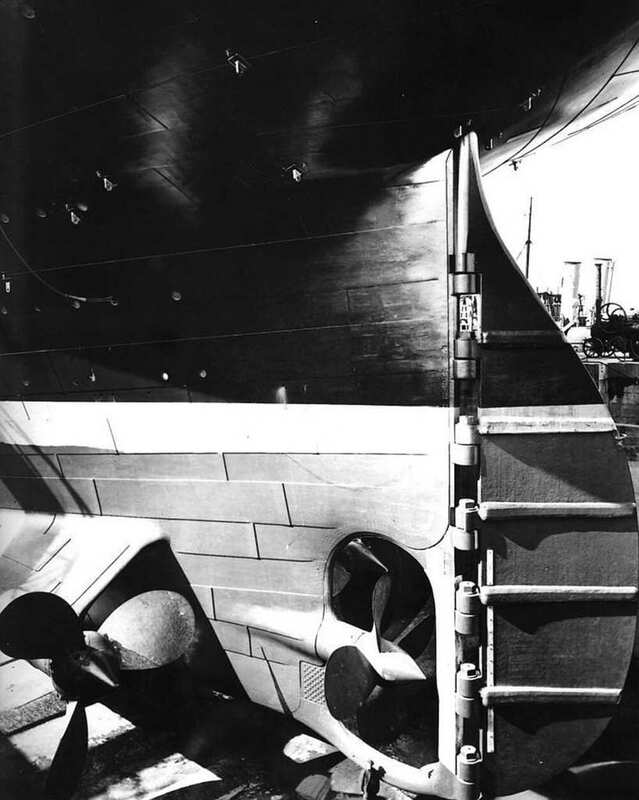 The rudder of the vessel as seen in this picture, weighed more than 20,000 lbs. Looking at this promenade, it’s hard not to picture Jack and Rose, the two lead characters in the film version from 1997. Can you imagine how many Jacks and Roses strolled down this promenade, hand in hand, looking at the horizon and into the future? The promenade was located right under the top deck. For those who could afford it, it was possible to book a cabin on the top deck that boasted private 50 ft long promenade decks. In 1912, the most expensive room cost more than $4,000. If you had a chance to watch Jame’s Cameron film then you must remember the scene where Jack and Rose are walking down the grand staircase. 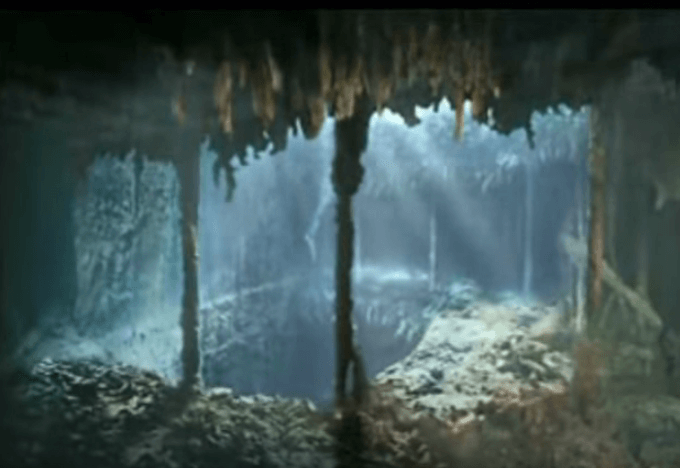 In fact, the director went to great lengths in order to have the architecture in the film resemble the original one as much as possible. This iconic staircase is another example of a pretty accurate replica of the staircase on the ship. 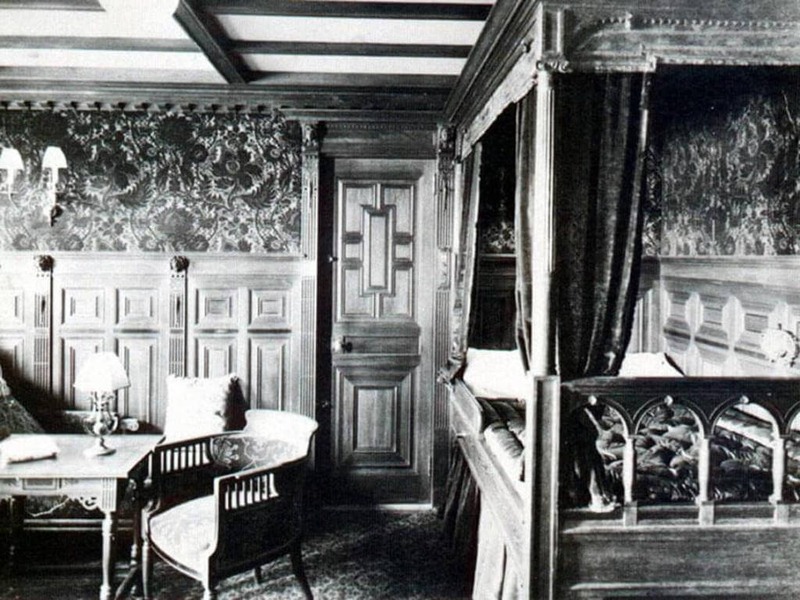 In this photo you can see that this room is a standard single bed cabin and it was just one of 350 rooms of the same type. It does seem quite comfy considering it is a ‘standard’ room. 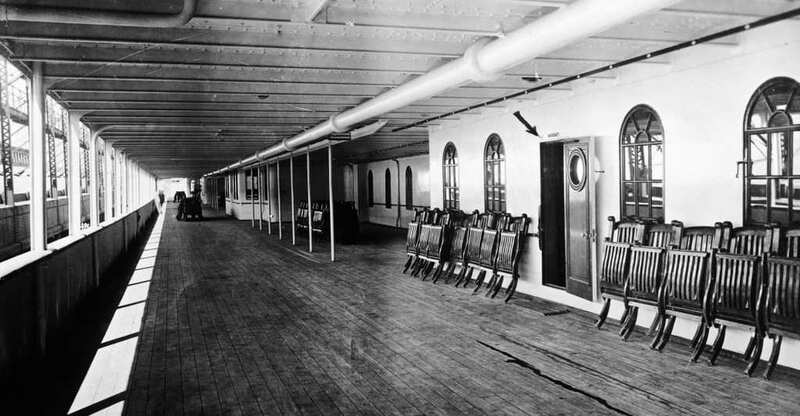 Apart from this class of rooms, there were 39 suits with complete privacy on the Titanic with their own private bathrooms. The designers of the rooms really knew their target audience well because they also added a wardrobe room. When it cam to survival, those who could afford the better and more expensive room had a better chance at staying alive than those in steerage. 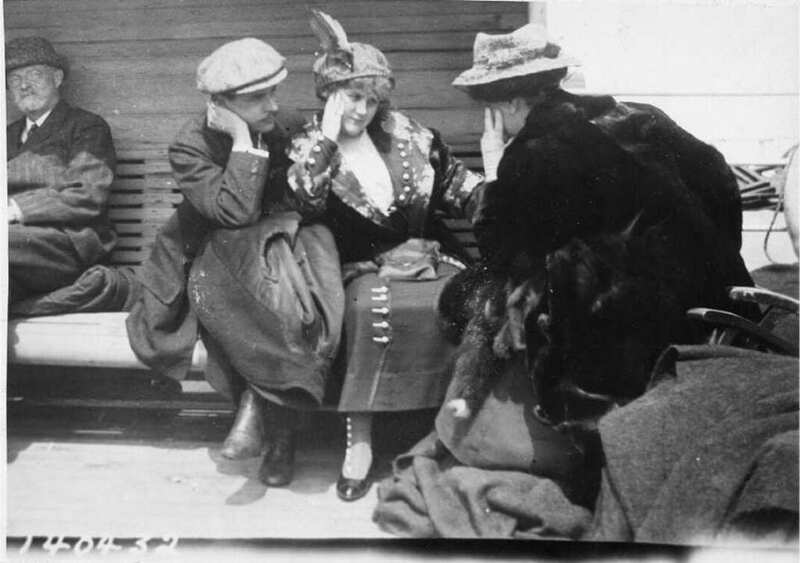 Mr. & Mrs. Starus were one of the wealthiest couples on board, Mr. Straus was the owner of Macey’s in New York. In fact, their tragic story is told in James Cameron’s blockbuster in the scene where you see the couple cuddling bed while they are already aware of the fact that the ship is sinking and there isn’t much they can do. In the very emotional scene, you see Mr. Straus giving his wife a kiss while watching their room, numbered C55-57, floods. Mrs. Straus’ body was never found, while her husband’s was discovered later on. This image gives us the chills, literally. We don’t think we’ve ever gotten such a close look at the infamous iceberg that started this historic tragic story. This is the iceberg that broke the side of the Titanic causing the water to go inside and make the ship sink down the ocean. 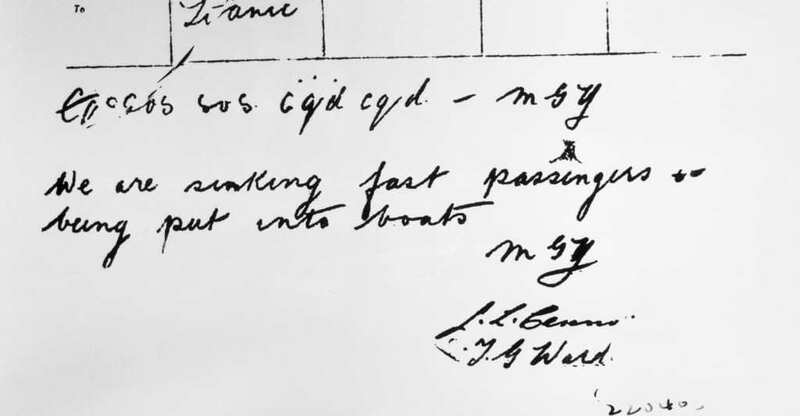 It was on April 14 at around 11:40 PM that Frederick Fleet, a crew member on the RMS Titanic spotted the iceberg and alerted the rest of the command officers. The officers on board probably never imagined they would have to use those life saving lifeboats. 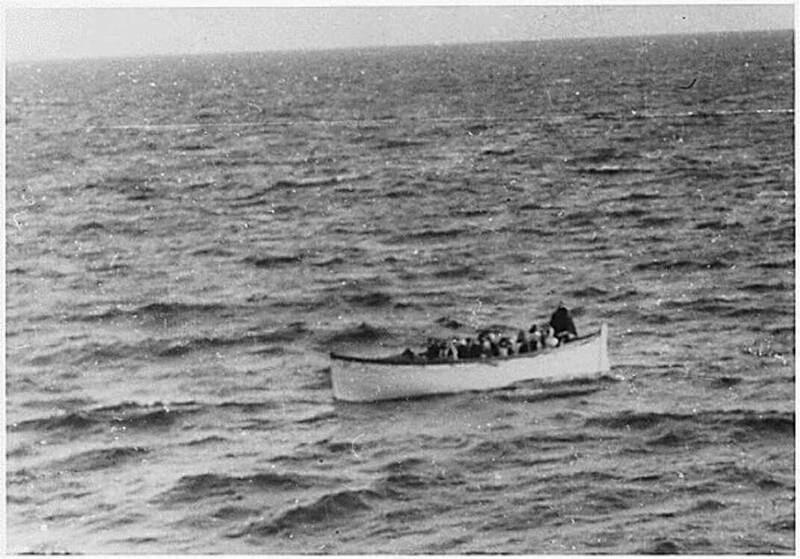 While the Titanic was known for having the best and most advanced safety features, when it came to the one basic feature, the lifeboat, there were actually not enough on board to accommodate all the passengers and crew members. The ship carried lifeboats enough for 1,178 people, which is only one third of the total ship’s capacity. If there is one type of ‘before and after’ pictures we don’t want to see, it’s those of before and after disasters. Besides the fact that it took incredible energies, resources and plans to construct this magnificent ship, the real story is told in all the smallest details and through the eyes of the people who built it and made it happen. 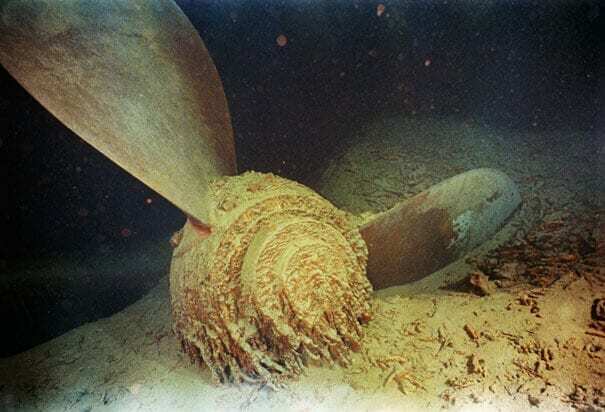 Take this propeller for instance, this is the middle propeller that was discovered in the wreckage. Someone was in charge of placing it right. 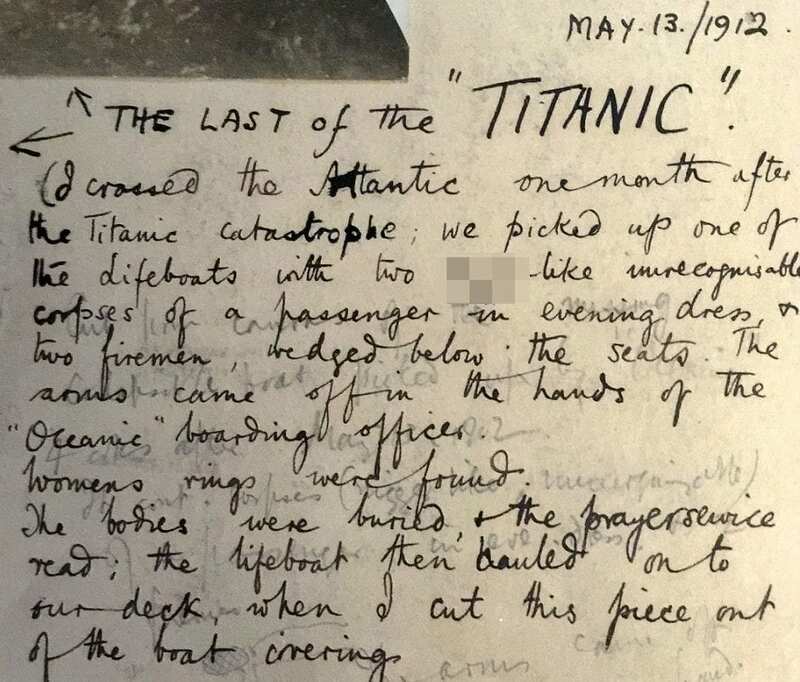 There is nothing more chilling that discovering written notes from that tragic time. It’s like re-living those horrific moments while trying to imagine what was going through people’s heads when it happened, only to have their thoughts written out. This is a letter that was penned by one passenger who was on board that describes the bad state the dead bodies were in when they were found. 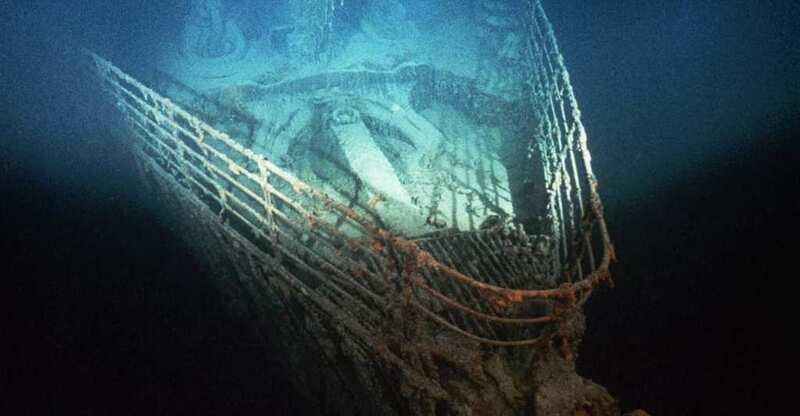 Many expeditions were carried out in order to find the remains of the Titanic. Probably the most notable one took place in September 1985 where the main pieces of the ship were found. 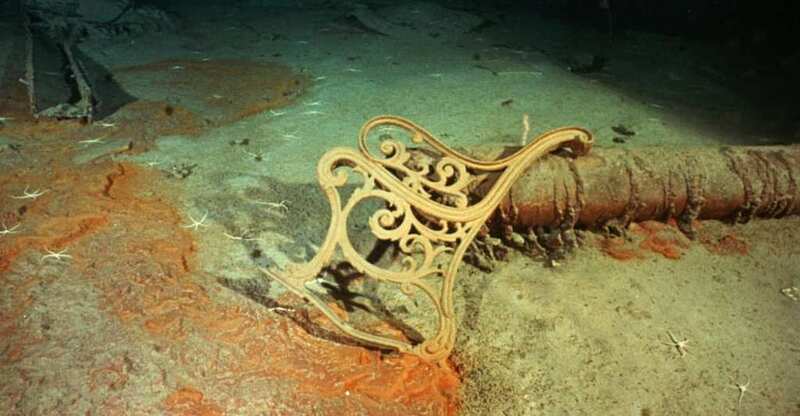 Among those remains was a bonze piece of a bench from the ship that was lying deep down in the ocean. By looking at this deck bench, you can really see the architectural details that were made that gave the whole architecture a luxurious feel. Once the news of what happened broke out and reached the rescuers, a liner named Carpathia arrived at the horrific scene and took on board around 700 passengers. 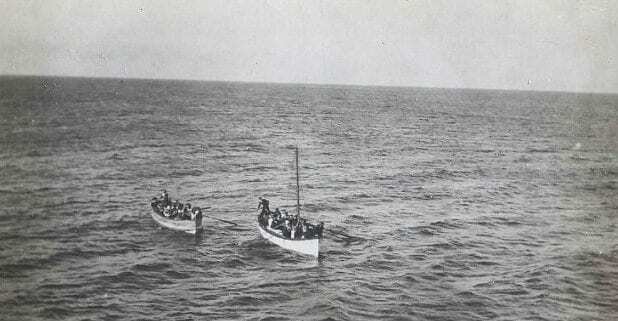 Not all of the ‘lucky’ ones made it to the boat, but those who survived used the lifeboats to row towards the ship. Carpathia later conveyed the survivals to New York, which was Titanic’s destination to begin with. 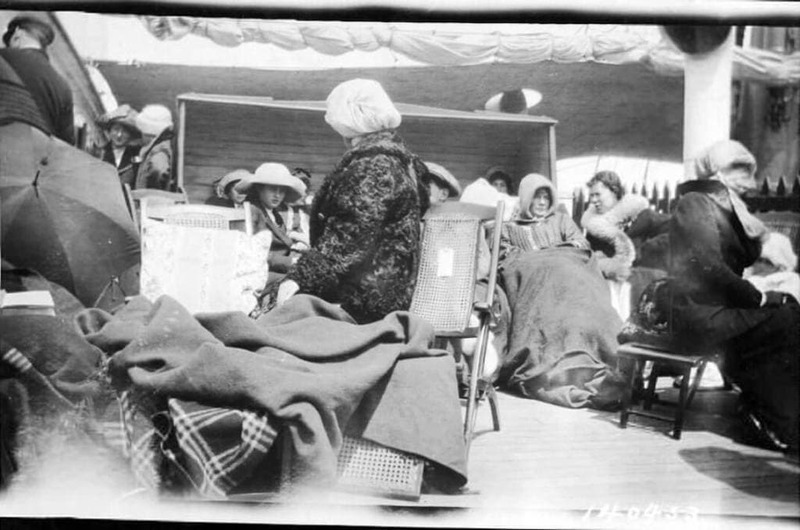 The 700 survivors that were rescued by Carpathia, were extremely cold as you can imagine and some were even suffering from hypothermia, stress and trauma. The crew on the rescue liner provided them with warm clothing and blankets to keep them warm. This picture was taken on board by a passenger on the ocean liner, and it’s definitely heartwarming to look at. This picture shows a pretty rough reality of what really happened at sea, while the passengers were taken on the lifeboats, there were the unlucky ones who didn’t make it. In the movie it’s very clear to see the understandable stress they were found in and the families struggling to get their kids and women on those life-saving boats, so to see this particular boat that clearly has more room to accommodate more passengers, gets you wondering what really happened there. 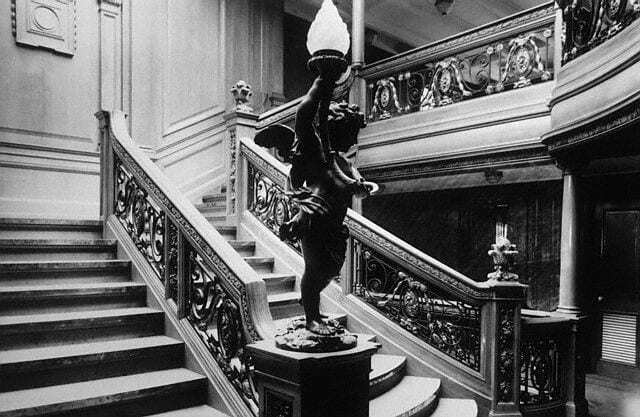 We’ve mentioned the iconic staircase earlier, and what an important role it had in portraying the wealth and the overall atmosphere that was found in the ship. In addition, the staircase plays a big role in the film, and it has almost become a very crucial part of the storyline. This picture is heartbreaking in so many ways, it shows the staircase in wreckage after the broke free. If these stairs could talk. If there is one thing family members dread is that horrible deadly list of the people who survived a disaster, or on the contrary, those who didn’t make it. 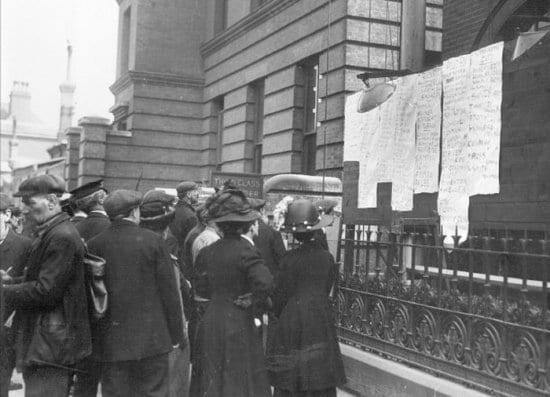 In this photo you can see family members looking at the survivor list in Southampton, outside the White Star Line offices, to check if their loved ones survived or not. If we could only see the expression on their faces. This is just one story of thousand others that gives an insight of what happened to the people on board, those who survived and those didn’t. 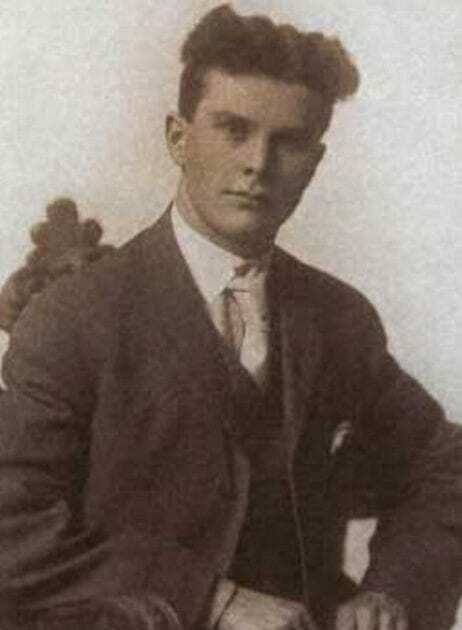 Thomson Beattie was a passenger from the first class, whose body was found a month after the sinking when the lifeboat he was on was discovered hundreds of miles from where the ship sank. Beattie was still in his dinner jacket when his body was found along with the bodies of a sailor and a fireman. It’s hard to imagine, but there were times when social media, television nor any other forms of modern media were around, and the only way to spread the news was through print media. Spreading The News. This picture shows how the horrible news were spread around the city of what had happened just a few days earlier. You could easily say that these days, with all the different media outlets, the news are spread much faster, in fact, instantaneously. This is probably the most famous picture of the wreck of the famous ship from when it was discovered in 1985, 13,000 feet at the bottom of the ocean. This beauty just seems so calm just sitting there. This is just one piece of this tragic puzzle. After many failed attempts to discover the lost remains, Robert Ballard and his team finally found some of the main parts with a technology called Argo. There is np doubt that this is historical treasure that if it could just talk, it would have told the most magnificent stories from the luxurious ship.